our products can also be ordered by phone or email. The coffee we sell at the market complies with all of the requirements we mentioned above. The Frog Friendly Wild Coffee (more than) organic, locally roasted and as a bonus: it's good for the people who pick the coffee beans in the Cloud Forest in Mexico. O, and the coffee tastes great as well, especially when brewed like we do! The tea we sell is also organic and local. It's made with much love by Sandy Doll from the Good Little Tea Co. While we brew the tea for you, Sandy Doll, or her mom sell the dry tea at most of the markets we attend. You can choose from many varieties: From black tea to green tea, different tastes, good for your tummy and always delicious and soothing! 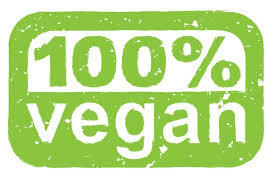 The Energy Bites that Marij makes are all VEGAN, GLUTEN FREE and made from ORGANIC INGREDIENTS but most of all full of energy! We offer many different tastes; savory or sweet (no sweetener used), with berries, nuts, chocolate or peanut butter. The latest ones are made with turmeric, goji berries and matcha tea. Healthy and tasty! Gevulde speculaas (almond paste filled speculaas). Unfortunately only in the 'Sinterklaas' season (November / December) or to order. Did you know that the word 'cookie' is derived from the Dutch word 'koekje'? And not without a reason! We offer a wide range of Dutch pastry. It all began with the gevulde koeken. About 5 years ago Arnold missed his favorite cookies so much that he decided to make them himself. After the gevulde koeken came the speculaas and coconut macaroons and of course the stroopwafels. We also found that using ORGANIC INGREDIENTS (especially organic spices) added so much to the taste! They may cost a little more than the cookies you find in the store, but you'll find that it's worth it! Although this page is still under construction, you already can have an impression of what baking poffertjes wil look like! Only for a few months we sell our honey at our booth, starting in the second week of September (after the IPE). Right now we've got 2 bee yards or apiaries. We have 6 hives on the flat roof of our house in the McLeod Subdivision (Armstrong) and 8 hives high in the mountains near Westside Road (Vernon). We plan to start a third bee yard coming spring at Debbie and Alan Clarke's Willow Tree Farm on Back Enderby Road (Spallumcheen). From this bee yard the bees will have an abundance of raspberry nectar available for a number of months! Read more about our bees and where they get their nectar on their own page. Also read about how honey can benefit your health. For about 5 years Arnold has baked sourdough bread for ourselves. Every now and then, and to order, we bring bread to the market. 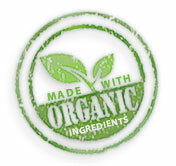 Like our other products they're made with organic ingredients. At this moment we offer white sourdough bread, white sourdough bread with onions and whole wheat bread with seeds and soy beans.